Visit your New York City dental spa if you need a smile makeover with dental braces. You’ll find comfort dental braces from a cosmetic dentist who always has both your oral health and your appearance in mind. And you’ll find options for removable braces, clear and traditional braces at Envy Smile Dental Spa. You can get the treatment to straighten your teeth that best fits your needs and your budget. When a cosmetic dentist recommends braces for your teeth, it’s usually to improve and perfect the alignment of your front teeth. There are many dental problems that braces can fix, and your cosmetic dentist at Envy Smile Dental Spa, located in Brooklyn, ensures the best fit for your teeth so that you’ll have a most dazzling smile possible. From wireless braces to removable braces, your NYC experts offer you choices to get the best type of comfort dental braces that suit your needs. No matter what your age, from adolescent to adult, you can benefit from braces to improve the appearance of your teeth. And the best dentist in New York City will tell you that it’s important to treat dental problems before any other, worse oral issues occur. Prior to the procedure to place the braces on your teeth, an initial examination takes place to discuss your dental history. Then X-rays are taken of your teeth and mouth for your dentist to review. The X-rays let your cosmetic dentist determine the condition of your teeth and the kind of braces that are best for you. Different treatment options are available, along with the types of braces, all depending on what suits you. Your dentist performs a drying process to ensure that the brackets of the braces bond properly to your teeth. A conditioner is placed on the surfaces of the front of your teeth. This conditioner is used to prepare your teeth for bonding to the brackets. After the conditioner is cleaned off, the teeth are dried again, and an adhesive primer is then put in place. After cement is placed on the brackets, they’re applied to the appropriate spot on each tooth. The cement is hardened with a high intensity light. Corresponding wires are then placed in the brackets. After the dental braces are first put in place, you’re asked to come back for check-ups, as determined by your cosmetic dentist. At these appointments, expect to have the braces adjusted and tightened. You can expect to feel some soreness and discomfort from these adjustments. It’s normal, as the braces put pressure on your teeth. Over-the-counter pain relievers are effective in relieving this pain. Traditional braces. These braces tend to use metal brackets to make extreme changes in jaw formation. They can align the back teeth as well, not only the teeth that show. Wireless braces. Also known as OrthoSnap, these wireless dental braces are a new cosmetic approach to straighten your teeth and show off your smile during the process. These clear braces aren’t flashy, so they work invisibly. Invisalign. These clear braces provide treatment for both teens and adults for a new kind of removable dental braces. Invisalign differ from OrthoSnap braces in that Invisalign braces are removable. Six Month Smiles. These clear braces gently align your teeth over a period of six months. This treatment, however, works only on improving the teeth in the front that show. Palate Expander. Although technically not braces, this dental appliance works to reshape your mouth to accommodate your teeth better. After a palate expander, you may not even need braces. 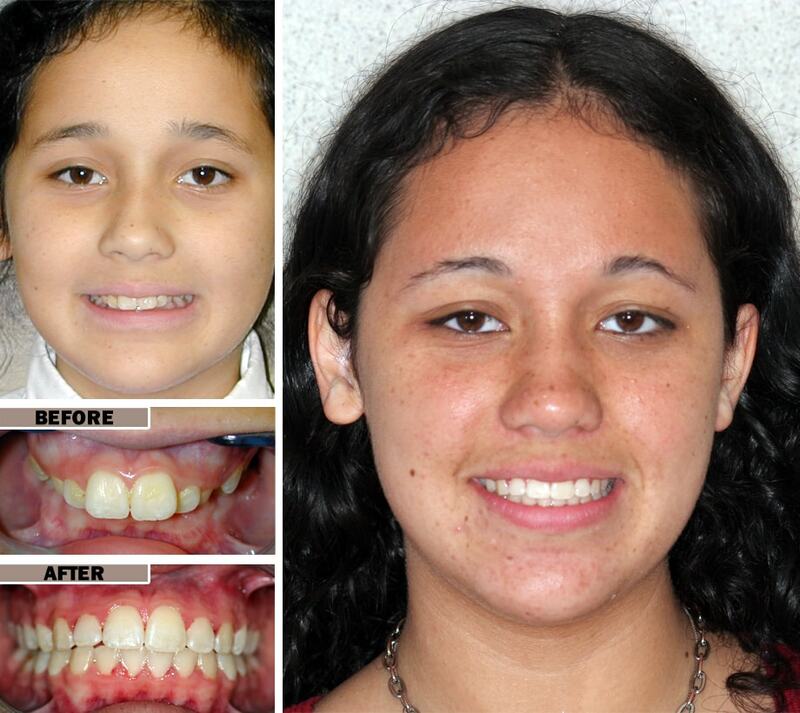 Traditional braces, Invisalign and the Six Month Smiles all have different treatment times. With traditional braces being the sturdiest and used for more complex teeth treatments, it tends to take anywhere from two to three years to complete treatment. Although a tedious track, traditional braces are very reliable in providing accurate and appealing results. Although Invisalign retainers are removable, which may prolong treatment, they take anywhere from 12 to 18 months to provide results. On the other hand, Six Month Smiles takes (after its namesake) six months to complete the entire process. Both Invisalign and Six Month Smiles focus more on the teeth that show in your smile. Do you have any questions about Teeth Braces? 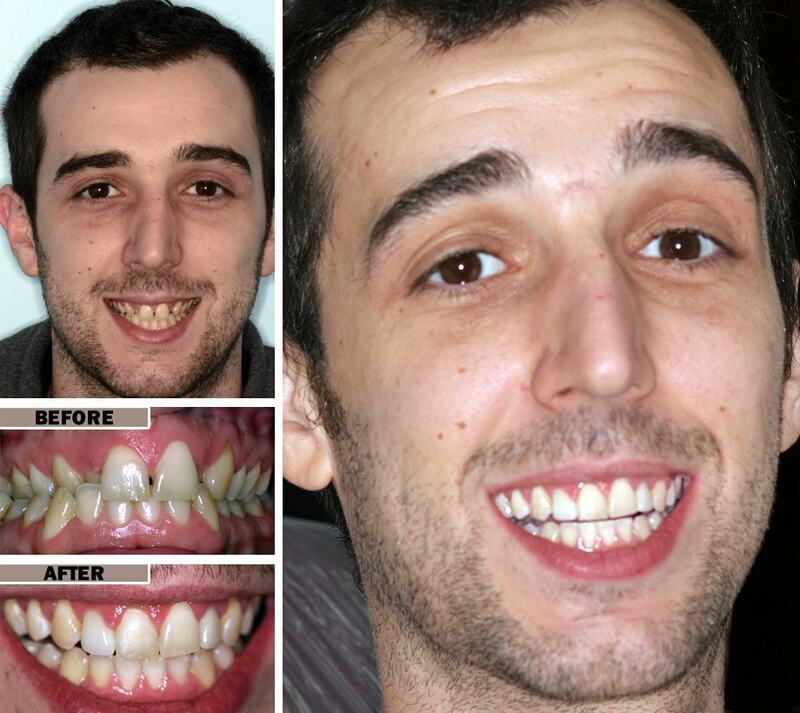 Would you like to schedule an appointment with the top orthodontist in Brooklyn? Please contact our office.